A couple more graphs based on the August employment report. The first graph below shows the number of total construction payroll jobs in the U.S. including both residential and non-residential since 1969. Construction employment increased by only 1 thousand jobs in August, and so far is down for the year. 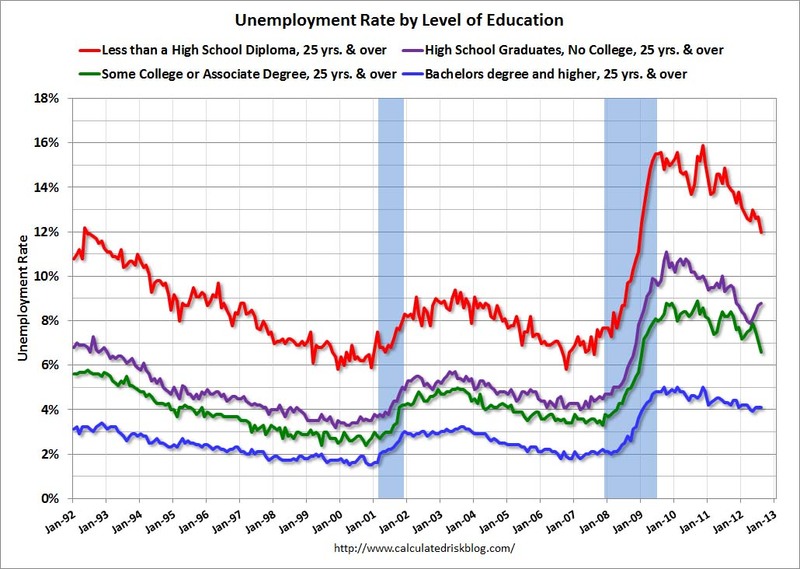 Unfortunately this graph is a combination of both residential and non-residential construction employment. The BLS only started breaking out residential construction employment fairly recently (residential specialty trade contractors in 2001). 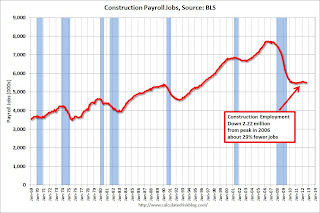 Construction employment appears to be moving sideways, although I expect this will change soon (and I'd expect some upward revisions to construction employment). 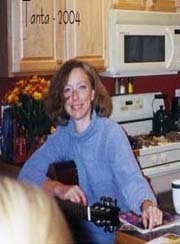 The preliminary annual Benchmark Revision will be released on September 27, 2012. 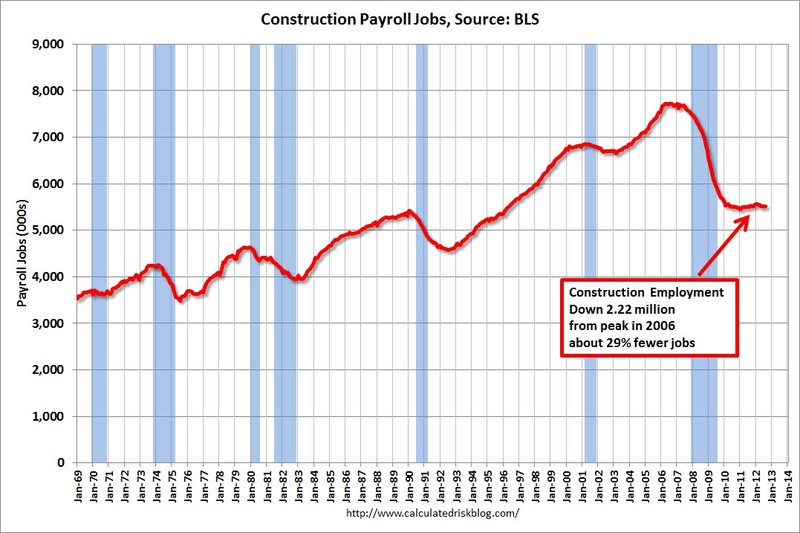 Note: When housing was collapsing, one of the mysteries was why construction employment wasn't declining - and then finally employment started falling sharply. I think we are seeing a similar "mystery" now, and I expect BLS reported construction employment will start increasing soon. Unfortunately this data only goes back to 1992 and only includes one previous recession (the stock / tech bust in 2001). 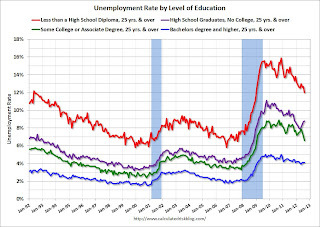 Clearly education matters with regards to the unemployment rate - and it appears all four groups are generally trending down - although the unemployment rate for 'high school grads, no college' has increased recently.